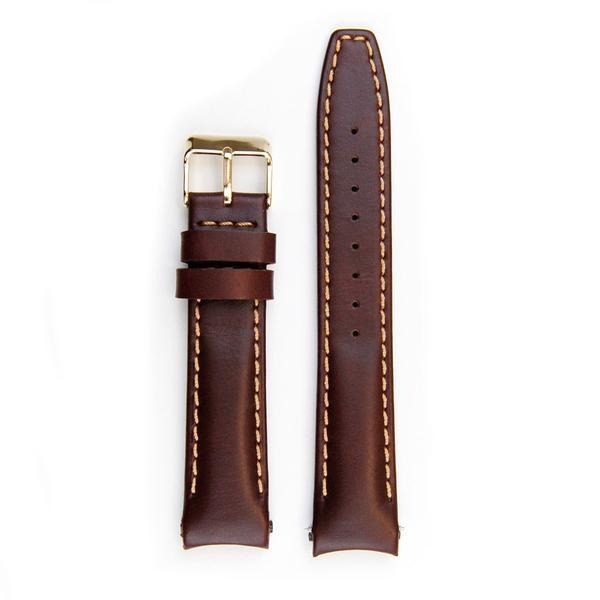 Everest Brown leather strap with stitching (EH12BRN) with curved ends for Rolex Datejust. 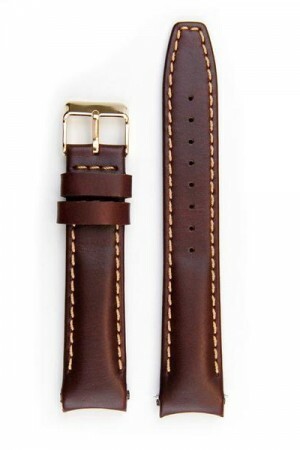 French style, Swiss made leather strap. High quality Italian vegetable tanned calf leather. Your order includes two Rolex style 2.0mm spring bars, a Custom, Curved End leather strap and a custom Everest Oyster tang buckle. Watch not included. Buckle is availible in different colours on order but by default is gold as pitured. By submitting this enquiry you are giving your consent to allow Ian Blowers Jewellers Ltd to email you our Newsletter featuring our very latest watches, news, offers and events through personalised email communications. We will hold your personal data for this purpose only. You can unsubscribe from this service at any time by emailing your request to shop@blowers-jewellers.co.uk or using the unsubscribe link in the newsletter. Ian Blowers Jewellers will only share your personal data with partners that fulfil this service on behalf of Ian Blowers Jewellers Ltd.
We are open Good Friday 10 till 4. Closed Easter Monday with normal hours from Tuesday. Happy Easter.